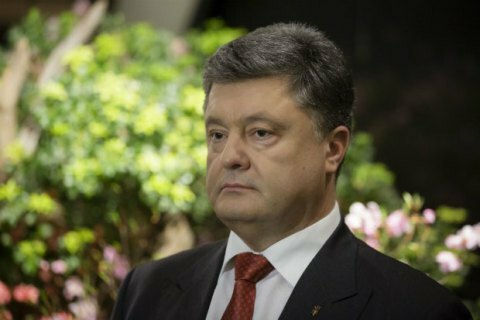 President of Ukraine Petro Poroshenko calls on Russia and its proxies in Donbas to hold fire during the Orthodox Easter holidays, according to a posting on a president’s Facebook account. "Today is Good Friday. This Easter will be a test for Russia to see if it’s part of the Christian civilization. To pass this test, Russia and its puppets must cease fire unconditionally, at least for the Easter," wrote Poroshenko. "If this is done, I'm ready for my part to ensure compliance with the cease-fire by the Ukrainian side, with the hope that it will become permanent, not time-limited," the president stressed.